Gulfstream unveiled two new super jets Tuesday after keeping them under wraps for years. High-end travelers looking for more room on shorter trips can get their fix with the new G500, which will cost $43 million, and the $54 million G600. Both have bigger cabins, fly faster and are more fuel efficient than most older models. 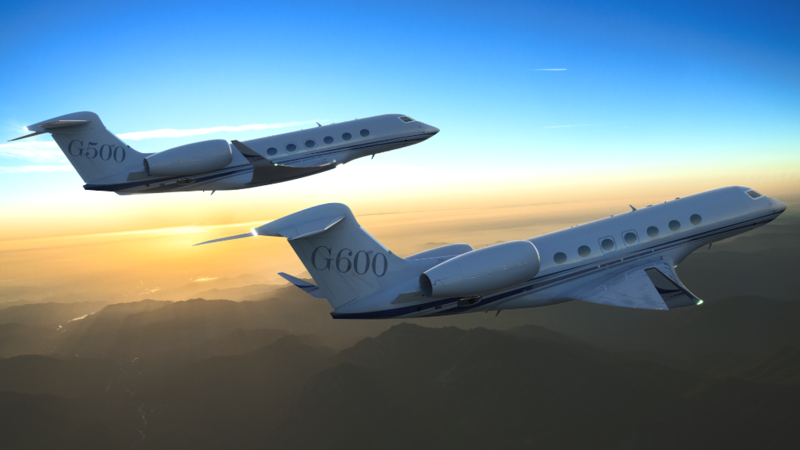 The G500 can fly from New York to Moscow nonstop, while the G600 can get fliers from New York to Dubai in one leg. 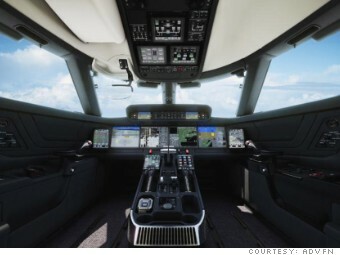 Both can operate at a maximum operating speed of Mach 0.925, which cuts an hour off a standard private jet's fly time. That extra speed will save the average Gulfstream flier up to a week in travel time, according to a spokesman. Both jets can carry up to 19 passengers and will have 100% fresh air, as opposed to air that's recirculated. Gulfstream is generally very secretive about its new jets, and these were built under the code name P42. The project was kept quiet for five years, despite the fact that they required about 34 football fields of production space. The new jets will be powered by a Pratt & Whitney PW800 engine, a historic break from the Rolls Royce engines in every other Gulfstream jets. Gulfstream already has orders for the G500 and G600 from Qatar Airways and Flexjet, with delivery set for 2018 and 2019, respectively. The cockpit of both jets looks sleek. 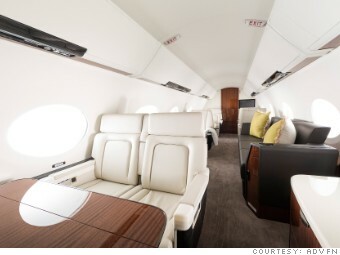 Experts expect the jets to replace Gulfstream's 16-passenger G450, which is currently in use. That probably accounts for much of the secrecy surrounding the planes, said Richard Aboulafia, vice president of aerospace market research firm Teal Group. "You don't want to cannibalize your existing product line." Business travelers looking for even more speed can rest assured: it's coming. "The next stop after this is supersonic business jet," said Michel Merluzeau from G2 Solutions. "We are less than 10 years away from that."